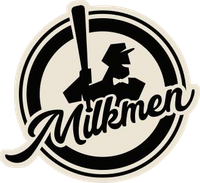 FRANKLIN, WI (NOVEMBER 2018) – The Milwaukee Milkmen released their schedule today for the team’s inaugural 2019 American Association of Independent Baseball League season. The Milkmen will open the season with a pair of road trips including a four-game series against Saint Paul starting on May 16 and a four-game tilt at Fargo-Moorhead starting May 20. The team’s home opener is May 24, the first of a three-game series against the Chicago Dogs at Routine Field. After the home opener, the Milkmen travel to Kansas City May 28-30 to face the 2018 AA Champions before heading back home for a seven-game home stand including three games against the Lincoln Salt Dogs (May 31-June 2) and four games against the Kansas City T-Bones (June 3-June 6). Throughout the season, the Milkmen will have a six-game home stand from June 11-June 16 with three games against Sioux Falls and Winnipeg, respectively. The team then hosts the Cleburne Railroaders and the Sioux City Explorers for three games apiece at Routine Field in Franklin from July 9-July 14. The Milkmen then play host to the Gary Southside Railcats and Saint Paul Saints during two, three-game series from July 27 – August 1. Late season home stands include three game sets against the Winnipeg Goldeyes and Fargo-Moorhead Redhawks from August 9 – August 14 and a nine-game stand against the Chicago Dogs, Fargo-Moorhead and Sioux Falls Canaries – all three-game series – from August 18 – August 26 at Routine Field. The Milwaukee Milkmen will play all of their home games at Routine Field at Ballpark Commons. Routine Field, a 4,000-seat stadium that will also be the home of the University of Wisconsin-Milwaukee baseball program, is currently under construction and will be open in spring 2019. Games will include themes and promotions that will be announced before the start of the inaugural season. To purchase full-season and half-season ticket packages, or to buy cool new merchandise to commemorate the Milwaukee Milkmen’s first season, visit www.milwaukeemilkmen.com or follow the Milwaukee Milkmen on Facebook, Instagram and Twitter.